Choosing a new garage door style can be fun and nerve wracking all at the same time. If selected well, it can transform your home’s exterior into a glorious entryway. Not only will it enhance your curb appeal, it will likely impress your neighbors. At Cressy Door and Fireplace, we do our best to source a variety of garage doors for our Northwest neighbors. Besides looking for innovative styles and designs, we also look for sturdy constructions with high insulation potential. 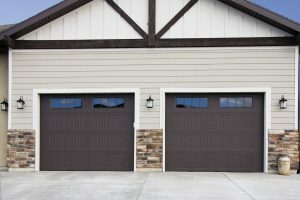 The truth is; all around great garage doors have both style and functionality. You might be wondering, does high design and durability always dictate a mighty price tag? 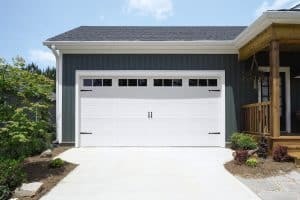 We are delighted to share there are garage doors with all three: beautiful character, robust fabrication, and an affordable rate. Wayne Dalton’s classic steel garage door models 9100 and 9605 are not only affordable they have robust construction with a variety of styling options. In addition, these doors offer integrated struts for rigidity and strength as well as pinch-resistant panels. Probably its greatest feature, the TorqueMaster Plus available on both models, is an exclusive counterbalance system that safely contains springs inside a steel tube. Models 9100 and 9605 also have polyurethane foamed-in-place insulation, which can improve your home’s thermal efficiency, block street noise, and make the door operate more quietly. Model 9100 is made with three-layer-construction (steel/polyurethane/ToughGuard) and has an R-value of 9. Made with a steel backer, the model 9605 has an R-value of 10. 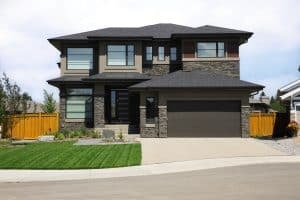 Many Northwest homeowners are looking for ways to improve their home’s value and increase their curb appeal. 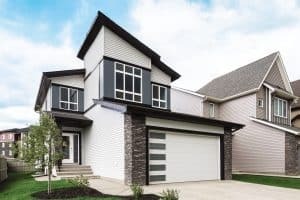 Since garage doors can do both, perhaps it’s time to upgrade from an old white or beige model without much insulation to something new. Take a look at these beautiful options. Still need help? Try out Wayne Dalton’s Custom Design Center. This tool will let you try endless models, styles, and colors on a photo of your own home! Or simply contact Cressy Door and Fireplace. Our experienced sales team is always available to help. Stay safe in the snow!